Got a question? Get answers here! 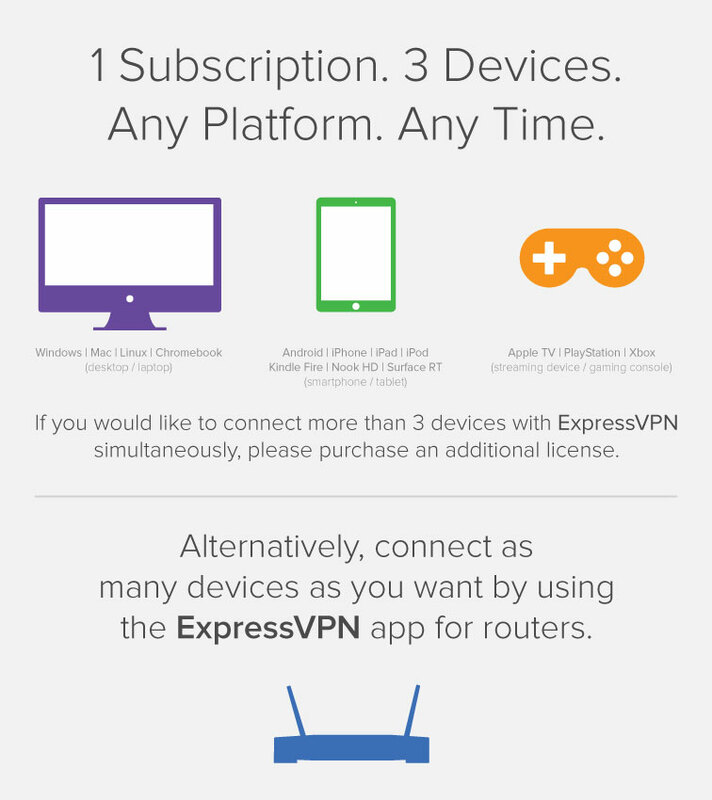 Need help setting up ExpressVPN on your device? Please see the setup tutorials section. Have trouble using ExpressVPN on your device? Please see the troubleshooting guides section. Need Live Chat Support? You can also get in touch with the ExpressVPN Support Team for further questions. What services can I access with a VPN? Why do I need ExpressVPN? Does ExpressVPN offer a lifetime subscription? Why is ExpressVPN more expensive than other VPNs? Do you offer static or dynamic IPs? How many IPs do you have? Why should I choose ExpressVPN over other VPN providers? Where can I read more about ExpressVPN? I don’t see any links to download the apps. Where can I download them? How do I sign in to my ExpressVPN account? How do I install ExpressVPN? Why doesn’t my ExpressVPN desktop app automatically update? Why doesn’t my ExpressVPN app notify me that a new version is available? What is the Network Lock kill switch? What is the location picker? What is the Speed Test/Ping Test? Why can’t I connect to a server location or access an online service? Does ExpressVPN throttle my connection? I still have questions. How can I contact Live Chat Support? Connecting to a VPN gives you an encrypted connection to the internet. This allows you to stay private, stay secure, and access the online content you want—no matter where you are. A VPN helps you access a range of online TV shows, social media sites, and news providers safely and securely. See a list of services that you can access with ExpressVPN here. A) You’re concerned about your privacy. If you don’t want websites, your ISP, or hackers snooping on your activities, then a VPN provides the protection you need. ExpressVPN encrypts your data while it’s in transit, making it unreadable for third parties. ExpressVPN also hides your IP address and location by giving you an anonymous IP. At ExpressVPN, your security is the top priority. ExpressVPN does not log your browsing activity. B) You need to access blocked or censored content. If you live in a place where some sites or services are blocked or censored, then you can connect to ExpressVPN’s secure servers in any of 94 countries and surf the web freely. You can see the IP address of your device by visiting this page: What’s my IP address location? This is possible with any VPN, but the difference is often unnoticeable. Furthermore, if your ISP is throttling certain types of traffic, using a VPN could actually boost your speed. ExpressVPN runs a premium high-speed network using bandwidth from tier-1 providers. ExpressVPN offers three standard subscription plans. Subscriptions cost $12.95 per month for a one-month plan, $9.99 per month for a 6-month plan, and $8.32 per month for a 12-month plan. Each subscription comes with a 30-day money-back guarantee, so you can try the service risk-free. You can view the payment methods and get ExpressVPN here. Have more questions about ExpressVPN subscriptions? Contact the ExpressVPN Support Team. No. ExpressVPN is a premium VPN service, although a free trial is available for certain mobile devices. Furthermore, all subscriptions come with a 30-day money-back guarantee, which means you can try us for a month with zero risk if you change your mind. ExpressVPN is confident you will enjoy the world’s most reliable ultra-fast VPN. If for any reason you’re unhappy with your experience, you have a full 30 days to get reimbursed on any ExpressVPN plan you choose. Just get in touch with the ExpressVPN Support Team. Read more about the 30-day money-back guarantee here. Each subscription comes with access to all ExpressVPN apps and server locations. You can download ExpressVPN apps on as many devices as you’d like, or use the manual configuration instructions. See setup instructions for ExpressVPN apps and manual configurations here. ExpressVPN accepts payment via Visa, Mastercard, American Express, Discover, Paypal, Bitcoin, WebMoney, Alipay, UnionPay, Yandex Money, Giropay, iDEAL, Sofort, Maestro, Carte Bleue, Interac Online, Mint, FanaPay, and OneCard. For instructions on canceling your subscription, please see here. No. That is because providing a secure, fast, and reliable VPN service is not free. Lifetime subscriptions mean providers must deal with a lack of sustained revenue. They usually cope with this by using cheaper and less-secure infrastructure, selling user logs and IP addresses for extra income, or limiting technology upgrades and customer support to cut costs. ExpressVPN is committed to protecting your online privacy and continually invests resources to ensure you get best-in-class service. For more on why there is no lifetime subscription for ExpressVPN, read the full blog post. Running a secure and ultra-fast network on the scale that ExpressVPN does is expensive. Unlike budget VPN providers, ExpressVPN invests in a better and more reliable platform to provide you with a superior and secure experience. ExpressVPN is still a great value and offers a 35% discount for customers signing up for a one-year package. You can also take advantage of the ExpressVPN referral program and earn 30 free days for every friend you refer who signs up. A single subscription can be used simultaneously on three devices, regardless of platform (including virtual machines). You may install ExpressVPN on any number of devices, but only three devices can be connected at any one time. Set up a VPN router and connect as many devices to it as you wish. ExpressVPN has apps for Windows, Mac, iOS, Android, Linux, BlackBerry, routers, and Kindle, as well as manual configurations for Linux, Chromebook, wireless routers (Sabai, DD-WRT, Asus, or Tomato), and streaming media or gaming consoles (Apple TV, PlayStation 3, PlayStation 4, or Xbox One). ExpressVPN does not provide dedicated, or static, IPs. This is because ExpressVPN IP addresses are rotated regularly. When you connect to an ExpressVPN server, you’ll be given the best possible IP available. It may be an IP address you connected to before, or you may get a different one. ExpressVPN rotates the IP addresses used by all customers to increase user anonymity and safeguard your privacy. ExpressVPN has thousands of servers in dozens of locations around the globe. Each location can have hundreds of servers, with each server containing thousands of IPs. Server availability varies according to the connection protocol chosen (UDP, TCP, L2TP/IPSec, or PPTP). ExpressVPN does not specify the number of available IPs because that may change depending on demand and other factors. For an up-to-the-minute list of all our locations, see here. ExpressVPN is a privacy-focused company that does not store activity logs or connection logs of our users. ExpressVPN does collect minimal information about the usage of our services in order to identify and address technical issues, but this information cannot be used to connect you to any specific activity or behavior. Besides these standard features, ExpressVPN has a dedicated team of security engineers working to constantly upgrade our network and apps to address new threats to your privacy. Find out more about the ExpressVPN referral program. ExpressVPN runs a premium VPN network optimized for high speed and reliability. Enjoy unlimited bandwidth and your choice of servers in 94 countries around the world. ExpressVPN has built the best network and VPN apps in the industry. Still not convinced? ExpressVPN comes with a 30-day money-back guarantee on all plans, so you can try the best VPN service available with zero risk. To read more about ExpressVPN as a company, please read the ExpressVPN Terms of Service here. To download the ExpressVPN apps, log in to your account and then click Set Up ExpressVPN. Under the section appropriate to your device, click DOWNLOAD NOW to download your app. For instructions on how to install your app, see the setup tutorials here. You can sign in to your ExpressVPN account here, using the username and password you used when signing up for ExpressVPN. Follow the instructions to setup ExpressVPN on your device and enjoy the internet with privacy and security! Need help? Please get in touch with the ExpressVPN Support Team. You will need to use your activation code to set up your VPN app. To find your activation code, sign in to your account and then click Set Up ExpressVPN. Click to expand the section appropriate to your device, and you will see the activation code for your account. Unlike the mobile versions, ExpressVPN desktop apps do not automatically update because the existing version must be removed first to ensure no conflicts with the new release. This is done when you download and run the installer of the new version of the ExpressVPN app for Windows, Mac, and Linux. ExpressVPN alerts customers of new releases gradually to ensure a smooth transition process. To download the latest version of any ExpressVPN app, please visit www.expressvpn.com/latest. Network Lock is ExpressVPN’s kill switch, designed to prevent your network traffic from flowing outside the encrypted VPN tunnel. When Network Lock is enabled, you will only be able to access the internet when you are connected to the VPN. If you lose your VPN connection, Network Lock blocks internet access so that your network traffic does not get exposed to third parties. Network Lock is currently available for Windows, Mac, and Linux. You can read more about Network Lock here. The location picker allows you to select which VPN server location to connect to. From the location picker, you can view the server locations you recently connected to, the ones you have marked as favorites, and all of the server locations available. ExpressVPN will also recommend the top server locations based on where you are. For more information on picking server locations, see this guide or contact the ExpressVPN Support Team for help. The Ping Test on Android serves a similar purpose. By estimating the distance between you and all the ExpressVPN server locations, you get a measure of the time it takes for data to travel between your device and the server location. The lower the number, the better. In order to run the speed test or ping test, you must be disconnected from the VPN. Need help? Contact the ExpressVPN Support Team. A range of issues might prevent you from connecting to a VPN server location or accessing an online service after connecting. For immediate assistance, please contact the ExpressVPN Support Team. No. With ExpressVPN, there is no monthly data cap and no ISP service throttling. Find out how a VPN helps you defeat throttling and download with no limits. For any other questions, or for any issues you have encountered, please contact the ExpressVPN Support Team.